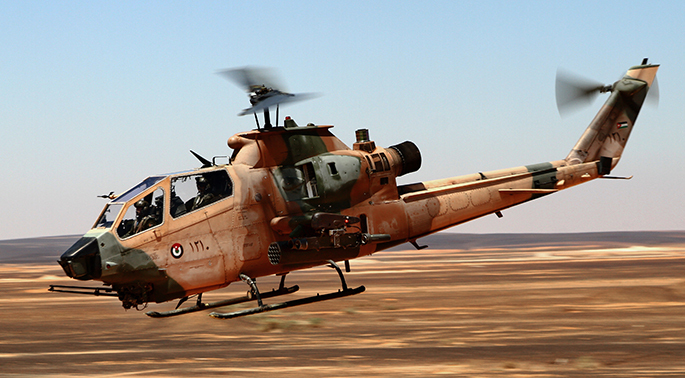 MANILA – Special Assistant to the President (SAP) Christopher "Bong" Go on Thursday said the Philippines will get two Cobra helicopters from Jordan. Go relayed this information to Palace reporters through text message, saying the second-hand helicopters will be delivered in July next year after the training of the Filipino pilots. Go made the confirmation as the Philippines’s Department of National Defense (DND) and the Jordan Armed Forces-Arab Army signed a Memorandum of Understanding (MOU) on defense cooperation. DND Secretary Delfin Lorenzana and Joint Chiefs of Staff chairman, Lt. Gen. Mahmoud Freihat, signed the MOU on Thursday during the three-day official visit of President Rodrigo Duterte in Jordan. The defense cooperation MOU was just one of the five agreements signed between the Philippines and Hashemite Kingdom of Jordan.